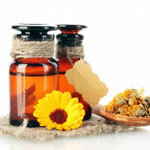 Naturopathic medicine combines the wisdom of nature with the rigors of modern science. Steeped in traditional healing methods, principles and practices, naturopathic medicine focuses on holistic, proactive prevention, self care and comprehensive diagnosis and treatment. By using protocols that minimize the risk of harm, naturopathic doctors help facilitate the body’s inherent ability to restore and maintain optimal health. Naturopathic medicine strives to create a healthy world in which humanity may thrive. A Naturopathic Doctor (ND) works to balance the whole body by identifying the underlying cause of the patient´s condition rather than focusing on treatment of symptoms by helping to create a healing internal and external environment. Naturopathic doctors work in private practices, hospitals, clinics and community health centers. NDs practice throughout the United States and Canada. Qualiﬁed naturopathic physicians undergo rigorous training before they become health-care practitioners. NDs treat all medical conditions and can provide both individual and family health care. Among the most common ailments they treat are allergies, chronic pain, digestive issues, hormonal imbalances, obesity, respiratory conditions, heart disease, fertility problems, menopause, adrenal fatigue, ﬁbromyalgia and chronic fatigue syndrome. NDs are trained to perform minor surgeries, such as removing cysts or stitching up superﬁcial wounds. However, they do not practice major surgery.